Rookie, The (television) John Nolan, a small-town guy who, because of a life-altering incident, has to start over in life. He is pursuing his dream of being a Los Angeles police officer, but as the force’s oldest rookie, he’s met with skepticism from some higher-ups. He has to prove that he can keep up with the young cops and criminals, but at the same time use his life experience, determination, and sense of humor to give him an edge. 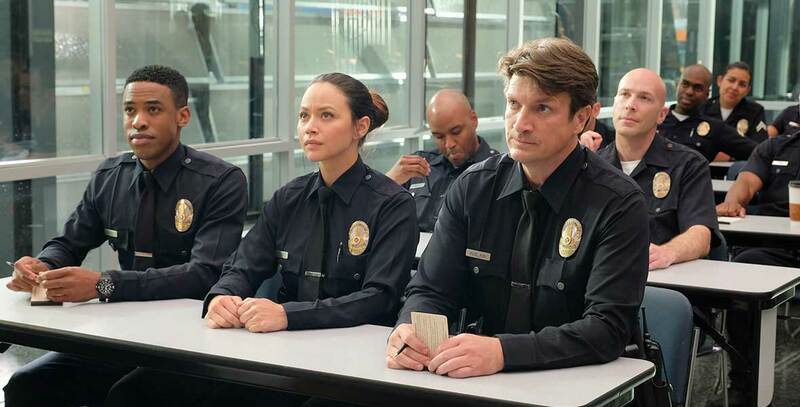 Stars Nathan Fillion (John Nolan), Alyssa Diaz (Angela Lopez), Richard T. Jones (Sgt. Wade Grey), Titus Makin (Jackson West), Mercedes Mason (Capt. Zoe Anderson). From Entertainment One, co-produced by ABC Studios.